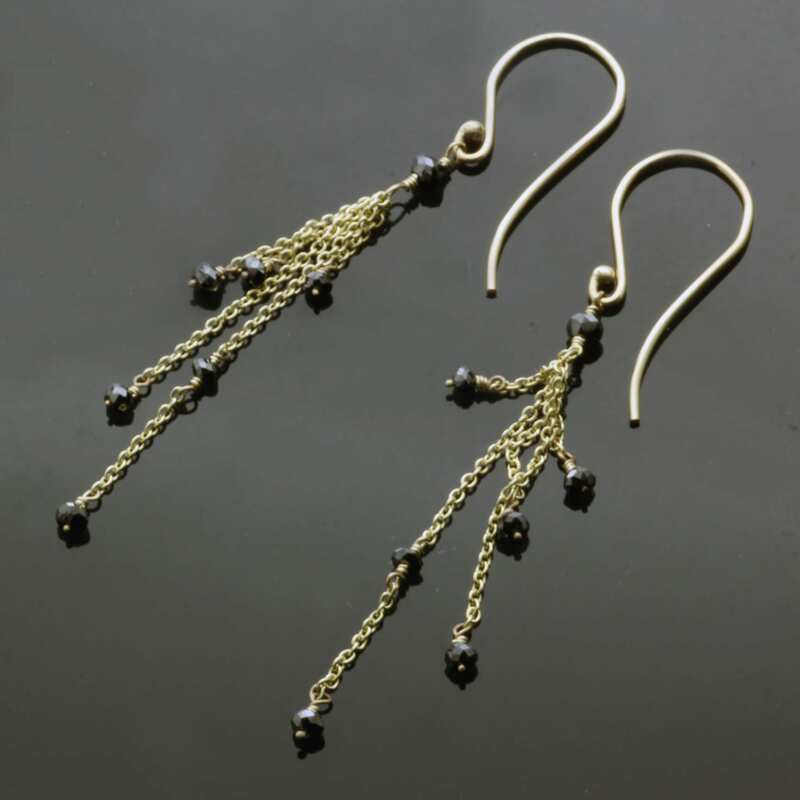 A fluid, decadent earring design, expertly crafted by Julian Stephens from precious materials to create an elegant, playful pair of modern dangle earrings. 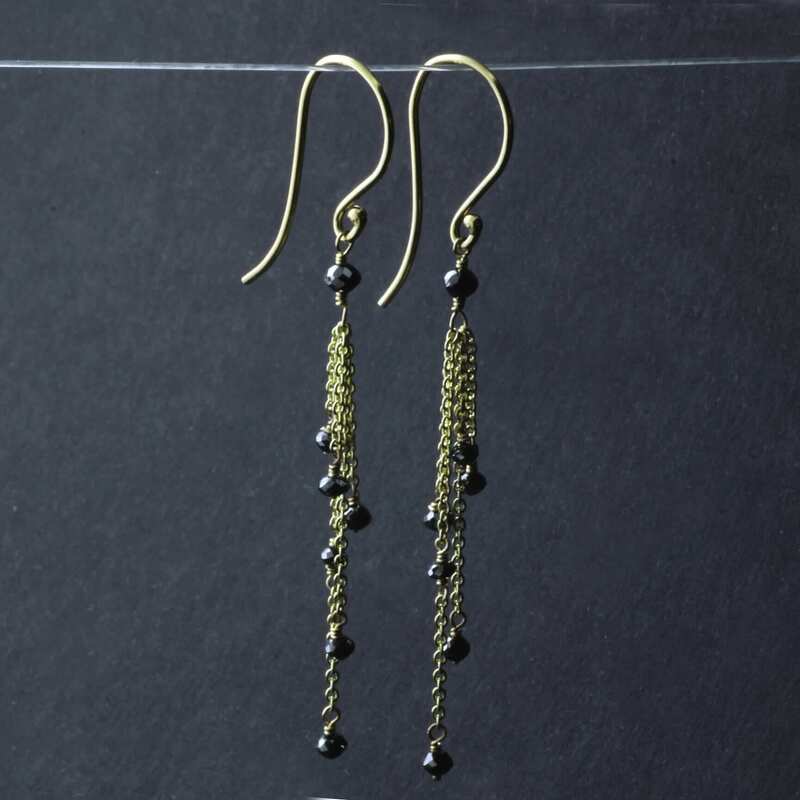 This beautiful pair of matching earrings has been lovingly crafted from solid 9ct Yellow Gold, using intricate strands of solid Yellow Gold chain which are adorned with fourteen beautiful faceted Black Diamond beads to create opulent yet subtle sparkles. This unique earring design has been created with movement in mind and the design moves with playful, elegant ease when worn. 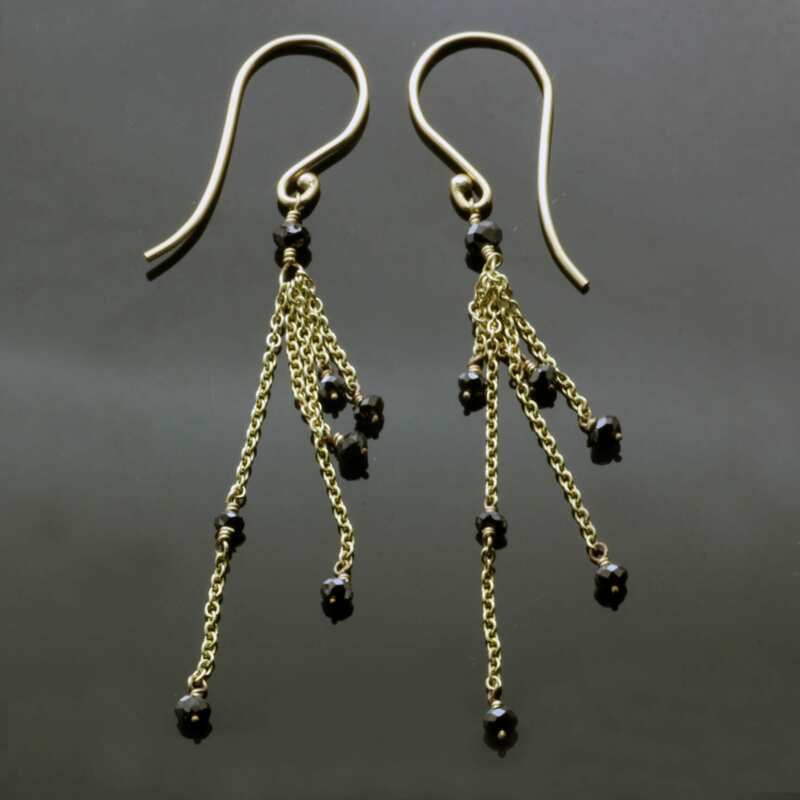 This Gold and Black Diamond modern dangle earring design has been carefully crafted with solid 9ct Yellow Gold hooks for pierced ears and this beautiful design is hand finished with a high shine polish to enhance the lustre of the gold.